Hi all, ok so it's maybe a bit more than a week since my last post on this topic, but work and impending fatherhood have taken precedence for a bit. As you can see from the above, I've managed to get a bit of painting done on my Sanguinary Guard, though there are still several layers to do, particularly on the armour panels itself. The wings on the jetpack are done though, and I've taken a couple of close-ups of the work so far. Typical conditions: Mainly forest, outwardly verdant but home to many predators, including infestations of orks. Galaxy Location: Ultima Segmentum on the eastern fringe, Sagittarius arm bordering the realm of Ultramar and the Tau Empire. Ardeal is a largely tribal planet, and the Knights seek to retain this way of life for its inhabitants as the regular territorial conflicts breed a tough, resilient and warlike people. This natural way of life has been reinforced following the adoption of the planet by the Knights as their homeworld, due to the infestation of the forests with tribes of the orks who arrived as a result of one of their earliest crusades that threatened the very existence of the chapter. These orks constantly raid what settlements the human tribes can establish, and many new recruits are drawn from the survivors of such raids. The Knight’s base of operations is called the Ultra Silvam (literally speaking, beyond the forest) and is the central hub of a ring of defensive fortresses known as the Seven Saxons hollowed out of the Apuseni mountains and reinforced with massive orbital and ground defences. Located within the Covasna region of the planet, which is largely barren high ground home to many glaciers and conditions that make life impossible for the unaltered or unprotected, the Ultra Silvam is not only a fortress but a symbol of the Bloodstone Knights’ elevation beyond mere mortals. As is common with many chapters of space marines, the local tribes often consider the Knights to be Gods who dwell in the high places of the world, watching the affairs of ordinary men with dispassionate eyes and occasionally selecting the most promising warriors to fight the eternal battle in the heavens. The Knights have a strong martial tradition and due to the native conditions of their homeworld and their continual exposure to wars against the greenskins, the Bloodstone way of war concentrates largely on close range conflict. As a result of this, the Knights have only a limited access to heavy, long ranged weaponry, and devastator squads are a rare sight within their ranks. What heavy firepower they do bring to the fight however tends to be mounted on vehicles, and they make extensive use of tank-busting squadrons of land speeders, fast moving vindicators, heavily modified to retain their accuracy at a sufficiently high speed to not be left behind by their other support units. The Bloodstone Knights geneseed, as far as historical records can tell, appears to have been an attempt to cure the curse of the blood angels by splicing it with that of the Imperial Fists to instill the discipline of Dorn’s heritage to control the black rage. 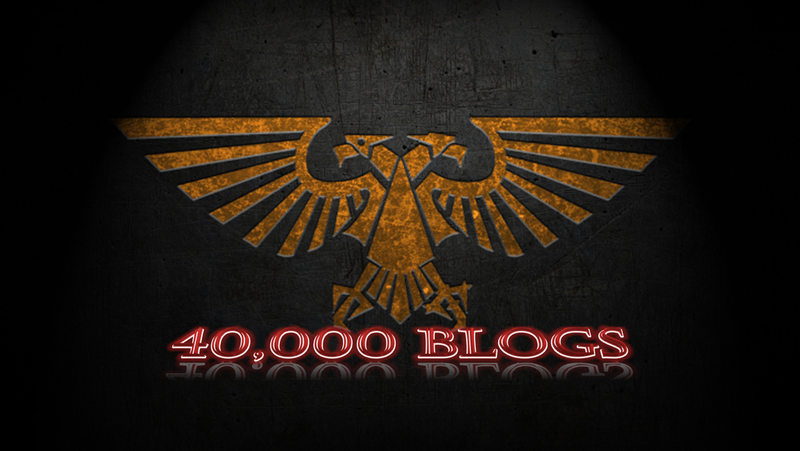 Unfortunately, it failed to have the desired effect, and it seems that the legendary zeal of the Black Templars has surfaced, actually increasing the regularity with which the black rage strikes, only tempering it to some extent in its final stages. As a result, the Knights are susceptible to violent episodes whereby they seek to close with their enemy, looking for solace in the violence of close combat. Fewer of their number however succumb to the red thirst at this time than is usual within the ranks of the blood angels and their pure successors, their blood lust seemingly sated at the last through extended periods of combat. The martial pride of the Knights is stung by such losses of control however, and where they occur, the warrior’s name is struck from the Chapter records, and all Bloodstone Knights heraldry is removed from their armour. The armour is then repainted onyx, with bone-coloured trims, only the symbolic blood red saltires and stylised blood drops representing the wounds of Sanguinius give any colour. The warrior is no longer considered to be a Bloodstone Knight, but becomes one of the Soarta. Commonly referred to as the Wyrdkin, this company is formed from those warriors whose fate is upon them, destined to die in the most bloody and brutal conflicts. These warriors are detained by the Chapter’s apothecaries. With their sus-an membranes artificially triggered they are kept in a comatose state until their skills and savagery are required on the battlefield. The Soarta often therefore form the vanguard of any battleplan, dropped into the thickest of fighting to disrupt the enemy strategy, or simply to strike the head from the serpent. Such warriors only rarely survive these encounters, their rage burning them from the inside until they fall to overwhelming numbers of their foes, but occasionally such a warrior will overcome all, defeating the rage within. These warriors are respected and feared in equal measure, and in an unusual practice, are interred within a dreadnought sarcophagus despite not always having severe enough wounds to demand such incarceration. The knights are proud of their twin heritage, and extol the knightly virtues exemplified by the Black Templars, often sending their warriors out on crusades into enemy held territories. These crusades are normally dispatched to Charadon, as a reaction to and fuelling the bitter hatred the chapter holds for all greenskins. The first of these crusades in the chapter’s early history resulted in a retaliatory Waaagh descending on Ardeal, and only the intervention of Chief Librarian Tigurius of the Ultramarines prevented the planet from being completely overrun. It was in response to this, and the destruction of their original fortress, that the seven Saxons were constructed. 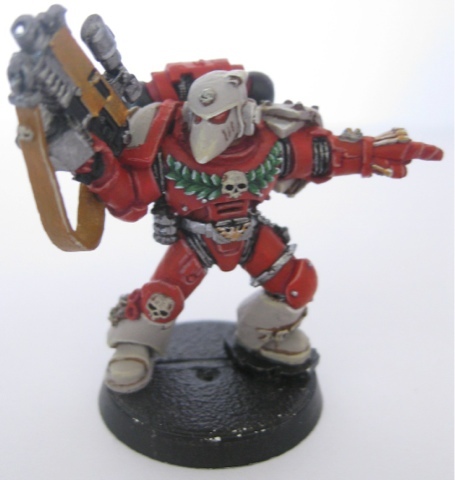 The Chapter Master vowed that never again would they be threatened with destruction should one fortress fall. Ever since this day, the crusades have adapted their philosophy, and will strike at a specific target and withdraw whilst in the ascendancy rather than punishing their foe until they are forced to fall back through high casualties or overextension of their supply lines. This tactic ensures that the knights do not fall back from a battle, and they are rarely pursued for long as they retain their strength by minimising casualties. ok, who's got my my ball? A lot of people would say that your gutter runners have better natural abilities and can act perfectly well as a thrower in a Skaven team. This is mainly due to their AG4 as opposed to the thrower’s AG3, and in that regard, I can see their point. The Thrower’s skills are crucial however, and although the numbers are close, the thrower when using the pass skill is slightly more effective at Rookie level. To my mind the crucial thing is that the Thrower has access to the passing skills set, and with accurate, nerves of steel, dump off and safe throw along with potentially strong arm or extra arms if you roll a double, his progression results in a considerably better thrower than a Gutter Runner will ever become. Coupled to that, there are already more roles to fulfil than you can have Gutter Runners to fill them, so losing one to operate in the Thrower’s role seems wasteful. The most annoying aspect of the Skaven Thrower is his agility of 3. The first way to address this as with any thrower, is to only throw the ball as far as you absolutely have to, you don’t get extra SPP’s for completing a long bomb at a -2 modifier, so why not throw a quick pass at +1 instead if you can? Set-up is a crucial part of this. The Skaven thrower has a great MA of 7, allowing him to reach all four corners of your half if set up in the central square. Don’t fall into this trap, set your Thrower up at the back of the board, this will mean your opponent is more likely to aim the kick into the gap in front of him instead of risking a touchback, and on that basis your Thrower can run forward, pick up the ball and keep moving forward, meaning you’re closer to any potential recipient than you would be if your Thrower starts in the central square and has to run backward to pick up, which makes any throws in subsequent turns easier. Secondly, throw to players with the Catch and Diving Catch skills wherever possible. Your Thrower picks up SPP’s mainly through completed passes so if you can pass to a player who can re-roll the catch, or catch inaccurate passes, he will advance much quicker than if you’re passing to an unskilled receiver (save that for when your Gutter Runners are all in the knockout box!). Skilling up your Thrower early on in a league makes winning games much easier later on, though it’s not an entirely bad idea to buy a deputy as your 16th player to take over when your primary Thrower dies (inevitably!). The second issue then, is that your Thrower is going to develop a very specific set of skills aimed at getting the ball from the backfield to one of your receivers. The downside to this is what do you do with him once he’s made that pass, which may be in the first or second turn of your drive (though hopefully it won’t take you more than 3 turns to score). Some would advocate spreading his skill base to allow him to act as a defender in the backfield when you’ve not got the ball, or to only use him on the offensive drives and use a gutter runner instead on defence. I tend to keep my Thrower on the pitch at all times, both offensive and defensive drives. On defence he has the kick skill, meaning I can place the ball more accurately (and in the case of slow teams, deeper into their half of the pitch) and after that he acts as a last ditch line of defence if the opponent gets through. I don’t give him any defensive skills however (such as block, tackle etc) because with Skaven the one thing you absolutely must be able to do is transfer that ball well to your Gutter Runners and the more skills he has to enable him to achieve this, the better. In order to manage this then, keep your Thrower to a support role, let him provide assists on the whole, and if necessary he can make the odd block. Keep his action as late in the turn as you can however, because if one of your other defenders manages to knock the ball free, your Thrower is the ideal guy to retrieve it and get it out of the danger zone (especially once you give him Nerves of Steel and Safe Throw so he doesn’t have to dodge out of any tackle zones). By doing this, you limit the offence your opponent is going to put on the Thrower, of course in an ideal world their cage would never get to the point where your Thrower is the solitary defender, but this game doesn’t work like that. Early on, you’re really going to be grateful for those starting skills. Sure hands means that your Thrower is more effective at picking up the ball than an AG4 player (just) and is better at throwing an accurate pass to all bar long bomb range compared to your Gutter Runners. So as with the above section, make short passes (ideally you should be passing at least 3 times per game). There’s absolutely nothing wrong with making a short pass to a Gutter Runner, then handing it off back to the Thrower to do the same next turn (just make sure you’re out of range of the opposition if you do fumble a pass/catch), this will really speed up the Thrower’s development. Second, make use of his speed. This is especially key if you’re going for a one-turn touchdown. I mentioned before that you should set up your Thrower at the back of the field. This is to make use of his speed. Unless your opponent has the kick skill he’s likely to aim the kick-off in the centre of the pitch so ensure you don’t get a touchback (if it does land off the pitch that’s one in the win column for your set-up!). Odds are therefore that the ball will land (on average) 3-4 squares away from the centre point of your half. Your Thrower can then swoop on it and get within Short Pass range of one of your flanking Gutter Runners. If they haven’t got the speed for the OTTD, set them a couple of squares back from the centreline and you may even be able to make a quick pass. An alternative if you want to play safe is to set your Thrower up in the central square, and then in your first turn retrieve it, then retreat to the back of your half out of range of being sacked (preferably to one side as this helps to prevent you being closed down for the throw next turn. Well there are plenty of people that would advocate taking block on your Thrower so that he can act better as a last ditch defender. I disagree, on your offensive drive you want your Thrower skilled up to the max to distribute the ball well, and on defence, if you want a guy with block use a lineman or a stormvermin. Block doesn’t help the Thrower perform his primary task, so I’d advise against it. It’s a blocking skill, and your Thrower should be limiting the amount of this that he does, to avoid being blocked in return, so I’d leave this one in the box. As with the Stormvermin, Gutter Runners and Rat Ogre, you don’t want to risk your specialist being sent off, so don’t foul with him, and if you’re not fouling with him there’s no point in taking this skill. Could be useful with a Thrower if you do happen to get cornered and blocked. His MA should minimise the number of occasions when this can happen though and as such you shouldn’t need this skill very often. On that basis, I wouldn’t take it. Another blocking skill. This one could be useful if you use your Thrower as a backfield defender, if only to look for opportunities to push opponents into the crowd. You probably don’t want it on your principal Thrower though. Despite the fact that this skill doesn’t directly affect his distribution of the ball, I’d take this skill as one of the first your Thrower gets (probably Accurate first, unless you roll a stat increase or a double). It means you can reliably and regularly place the ball within a couple of squares of the endzone, and against slower teams that’s crucial, as it gives you much more time to organise and mobilise your defensive screen. Leave it to your Gutter Runners would be my advice, his AG of 3 means he’s less likely to actually make an interception anyway. I might consider it as a 6th skill, maybe, but even then there are probably better options available. Don’t see the need for this on a Thrower, you can only re-roll and individual roll once, and with Sure Hands and Pass as starting skills he probably wouldn’t use it anyway. I do like this skill for its nuisance value and again, a case could be made that when the Thrower is in defensive mode, shadowing could be vital in saving the odd touchdown by forcing dodge tests. In practice though, it’s a skill that would be nice, but doesn’t help the Thrower fulfil his primary role. Best used on a player that’s going to be sacking the ball carrier, I’d leave it off your Thrower as he should be assisting blocks, not making them (unless circumstances are dire indeed). Best used when blocking players with dodge or causing receivers to pass their dodge roll without a re-roll, you could certainly include it if you have a defensive Thrower in your team. But why would you, he’s 20,000gp more than a lineman and though he comes with 2 skills, neither is suited to this job. Another of the defensive skills, and as with Shadowing/Strip Ball/Tackle, it just doesn’t fall within the remit of my Thrower. Always my first choice skill for a Thrower, unless I get an Agility stat increase or a double. Effectively makes him AG4 for the purposes of making a pass. It’s not a skill I use very much with Skaven, mainly because the Thrower is speedy enough to avoid attention of the opposition until he’s got rid of the ball, when it becomes redundant. I’ve played against it plenty though and If you’ve got a Gutter Runner nearby and you’re running a cage it would be highly frustrating! Love the idea of this skill, it reminds me of a goal line clearance in football (soccer for you Americans out there). Doesn’t seem to work right in the computer version of the game though, as the default is to always use this skill, and if you change the setting to ask then the throw always seems to fail. In the tabletop version though you can just imagine the situation, two turns of the match to go, the Chaos cage has broken through the main defence but a brave Gutter Runner manages to leap in and strip the ball from the carrier, it bounces free of the cage whereupon the Thrower snatches it up and hurls it to the far end of the pitch, saving the touchdown and winning the game. It’s one of those skills I’d take when all other avenues are exhausted. A lot of people seem to advocate taking leader on your Thrower, giving the team that extra re-roll for a much smaller amount in TV than buying an extra re-roll. I’d be more inclined to take it on a linerat to be honest, though it’s not a skill I’ve ever bothered with, extra re-rolls are affordable enough after a few matches and with enough cheerleaders/assistant coaches then you can usually get one or two per match on the kick-off table. Very useful skill this, one of the basic principles of bloodbowl is to roll the dice as little as possible for agility tests, so being able to pass out of a tackle zone without modification or dodging into the open is like gold! Similarly to Nerves of Steel, anything that reduces the chance of your throw going wrong is good, so being able to keep hold of the ball on most fumbles, and being able to cancel interceptions half the time is very useful indeed. Probably not one of the first skills to take, but it’s definitely in the top 5. Not high on the list, I’d be surprised if you saw this on a Thrower, but consider the scenario mentioned earlier of passing with your Thrower and then handing off back to them, Catch makes this much more reliable if you’re looking to give completion points to other players. Similar to block, if you’re worried about your Thrower being scragged (and you shouldn’t be) then Dodge will help him stay on his feet. Again, very useful if you’re going to be pouncing on a ball stripped free in a cage and hurling it upfield, leap can either be used to get you into the centre of a cage without having to dodge with that -3 modifier, or get out of a cage if you’re being marked hard. Beware though, it’s probably best used in extremis, as the Thrower’s base AG3 means half the time you’ll land on your face. Of course, by only using it when in desperate need, you can guarantee that Nuffle will always make you fail. Oh yes, yes yes yes. Combined with Accurate and Pass, this means you’ll be on target with three out of every four long bombs you attempt (and if you’re passing to someone with diving catch…). I probably wouldn’t take it in preference to Extra Arms due to the philosophy of not throwing the ball further than you have to, but if you get a second double then grab this skill with both hands. Remember that secondary Thrower with Leap, Hail Mary Pass and Nerves of Steel? He’d definitely benefit from Big Hand as well. Well this skill is most definitely a benefit to the Thrower, I’d generally view it as an either/or with an Agility Increase, taking that in preference, but if you’re up to your 5th/6th skill and can’t think what else to take, go for it, you’ll be able to pick up in a single tackle zone on a 2+, with a re-roll, which can’t be a bad thing! Agility, agility, agility, and if you get a second roll, Agility. Most of the things you’re going to be asking your Thrower to do are based on Agility rolls, and though some of his skill let him re-roll those attempts, an increased agility will make them much easier in the first place. I wouldn’t say no to a Thrower with AG5, Accurate, Kick, Safe Throw, Pass and Sure Hands, would you? MA and AV increases would be useful for reducing passing distances and making him more survivable, but don’t bother with ST.
As I discussed earlier, I consider the Thrower to be a specialist and as such there’s only one build I’d consider making for the first Thrower in my own team. If you do manage to roll lots of doubles then potentially Big Hand may be worth considering, particularly in combination with Nerves of Steel and Safe Throw for retrieving the ball from tackle zones and clearing it from your own half. I’d also consider Hail Mary Pass for this, however in my experience there seems to be a bug with this if you’re playing the game on a computer and it fails the throw every time. As a second Thrower, you could develop him more along defensive lines for playing in the other half. After this, the player’s development is pretty open, you could give him Jump Up to make sure he can reach the ball if he’s knocked down, or block/dodge to keep him on his feet more, the options here are too many to list. The Thrower is key to the way I play the Skaven team, and is right up there with the Elves as the best in the game (ok, the Elves natural agility of 4 does consign him to tier 2, but he’s definitely better than the Human options (including Amazons and Norse), with Orcs languishing at the bottom. I would definitely argue for a highly specialised Thrower on offense, possibly using a more defensive minded option on defence once my team is a bit more developed. Scared of plasma little boy? Just a brief post tonight, I've been thinking a bit about our perception of what's dangerous and what's not, then a few thoughts on tailoring army lists. Hi all, so it's a week since my last post on this subject, how have I been getting on in the meantime? 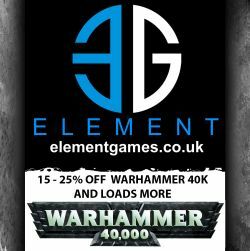 Just a brief recap, the intention of the project is to capture just how many hours it takes to paint up an army to your best standard, and therefore get some idea of the value I get from the miniatures I buy before they even get on the tabletop.